The kids at the 2nd annual Austism Camp raise the American flag to start the weekend. 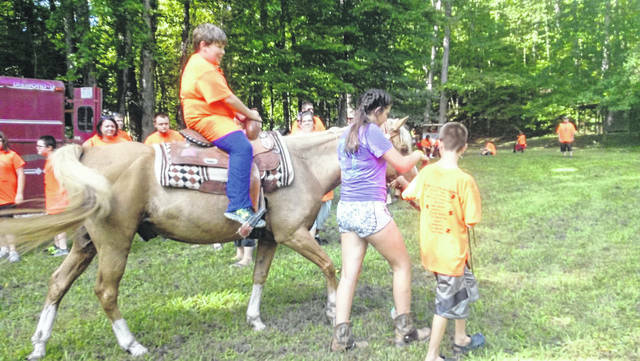 Children enjoyed horseback riding at Autism Camp this weekend. Children enjoyed playing in creek and canoe riding Saturday afternoon at the Austism Camp. Just a weekend of fun and being able to be them. That is how the second annual Austism Camp was described by one parent whose child with autism was attending the camp this past weekend described the camp. The Autism Project of Southern Ohio conducted the camp from Friday evening through Sunday at Camp Oyo, with about 50- 70 children expected to show up, according to president of the group Mike Bell. He said the kids will have the opportunity play ball, canoe, horseback riding and fishing, all in all just having fun. The resident ranger at the camp is Matt Taylor. He lives at the camp and has been there for 12 years. ” I want the camp to be a community camp,” Taylor said of Camp Oyo. “I want it to be more than a scout camp. This is where I live, my job, my house,” Taylor said with a smile. 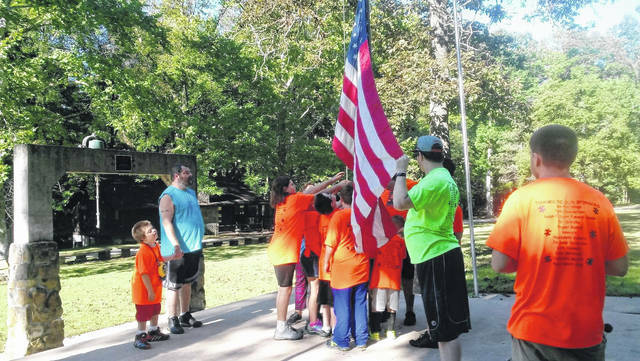 https://www.portsmouth-dailytimes.com/wp-content/uploads/sites/28/2018/09/web1_AUT-1.jpgThe kids at the 2nd annual Austism Camp raise the American flag to start the weekend. https://www.portsmouth-dailytimes.com/wp-content/uploads/sites/28/2018/09/web1_AUT-2.jpgChildren enjoyed horseback riding at Autism Camp this weekend. 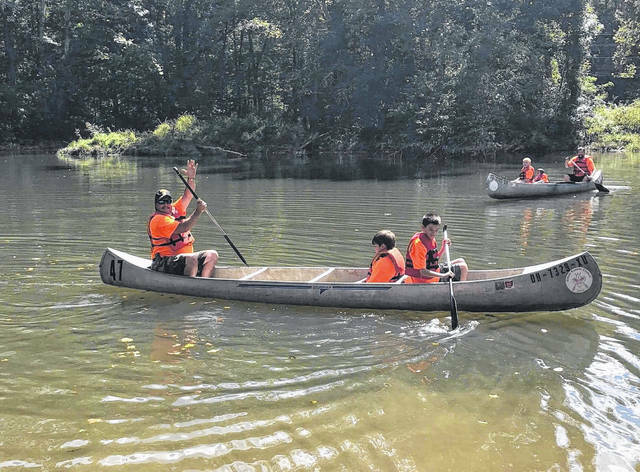 https://www.portsmouth-dailytimes.com/wp-content/uploads/sites/28/2018/09/web1_AUT-3.jpgChildren enjoyed playing in creek and canoe riding Saturday afternoon at the Austism Camp.